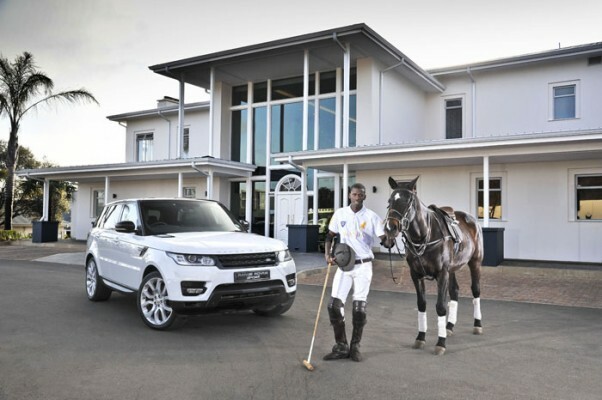 I was pleasantly surprised when an invite for the Land Rover Africa Cup 2014 Polo Tournament popped into my inbox. The first thing I thought was “What does one wear to a polo match?” After some “research” I was relieved to see that it did not really involve fascinators and the like. But that did not stop Jen Su from wearing one. Of course, unusual hats are her trademark, and I bet that she has Philip Treacy and Albertus Swanepoel (renowned milliners) on speed dial. 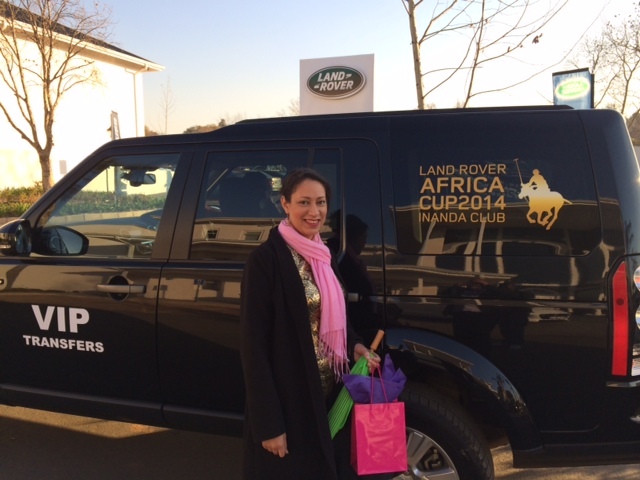 After receiving my accreditation, we were ushered into Land Rover VIP vehicles and transferred to the entrance. 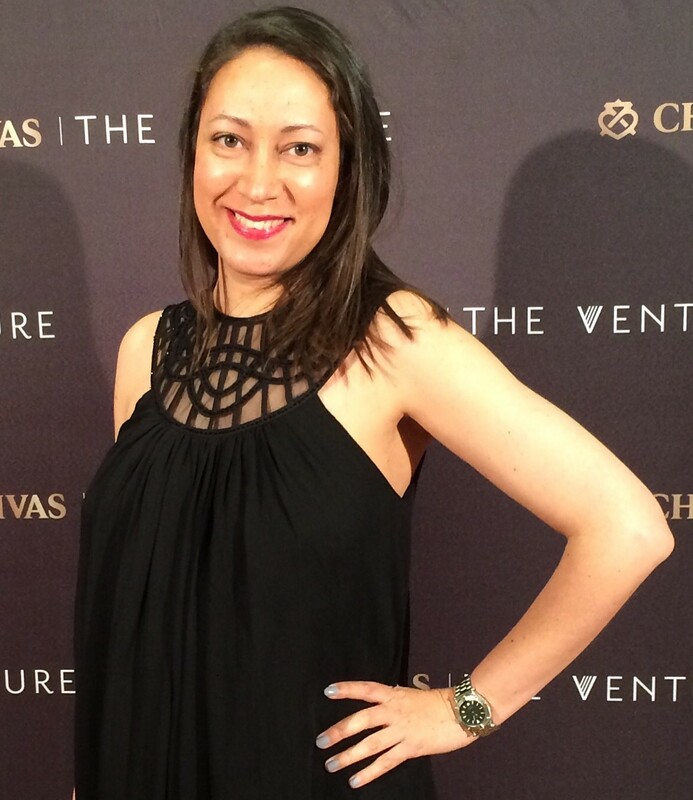 A quick snap or two at the step and repeat, and we were in the Land Rover VIP lounge. 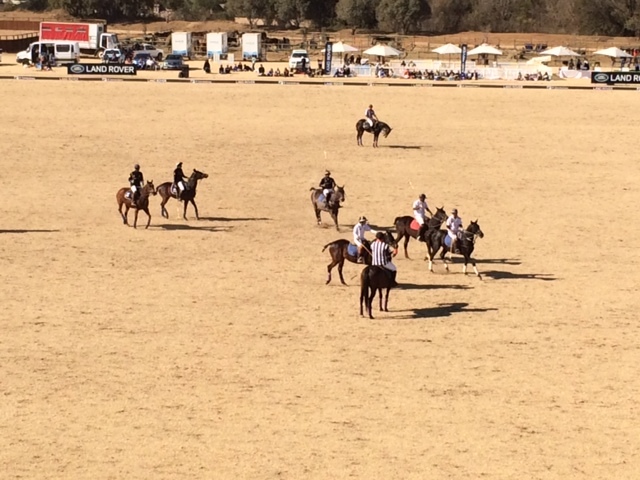 Considered one of the top polo events on the continent, the tournament sees eight teams compete in a knock-out format, and this year, countries that participated included Ghana, Nigeria, Egypt and Kenya. 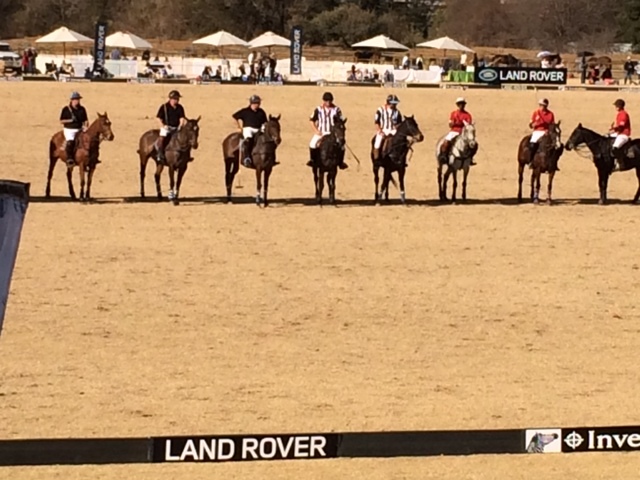 Despite the fact that polo is considered an elitist sport, there is an important corporate social investment aspect to the tournament, which included a curtain raiser match between development teams from the Free State and the Highveld. Inanda’s rising star, Zompie Totetsi, played for the development team. 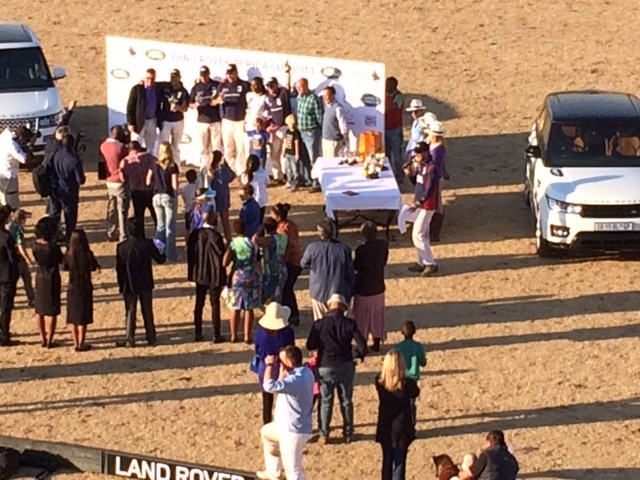 The winning team at the Land Rover Africa Polo was the Ghana Polistas with a 7-6 score. 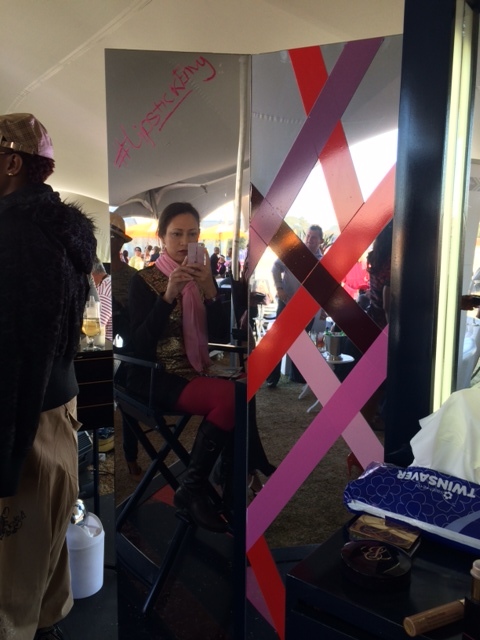 In between the games, I strolled around the different parts of the field and discovered that, apart from the VIP section which was on the first floor of the main club house, there were also other marquees where bands were playing, as well as a small handful of prestige exhibitors such as Estee Lauder and Dermalogica. 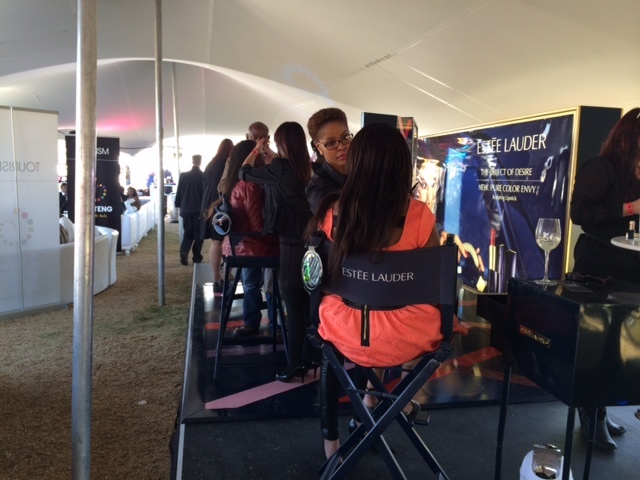 Being one of the sponsors of the day, Estee Lauder had set up make-up stations with their immaculately groomed make-up artists on standby to make one over, which I, of course, jumped at. 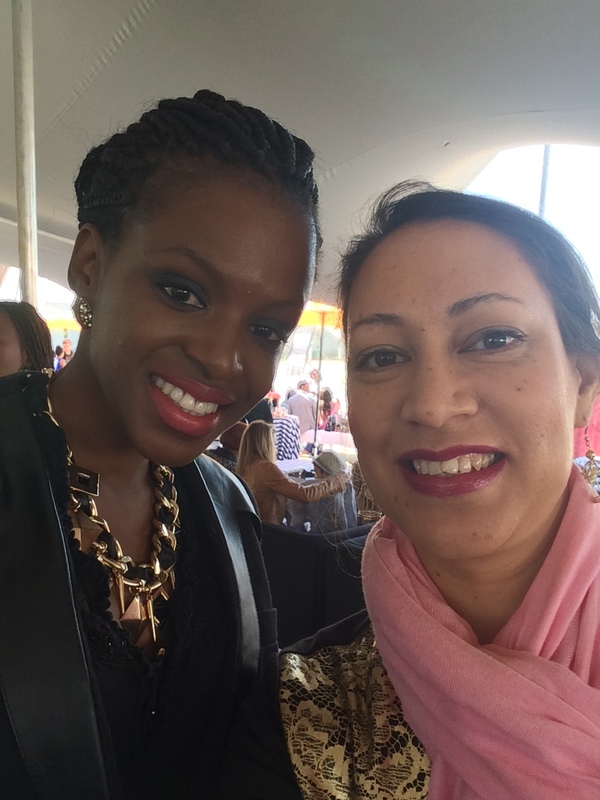 Fikile Malimani from Estee Lauder worked her make-up magic on me, and this was the result. 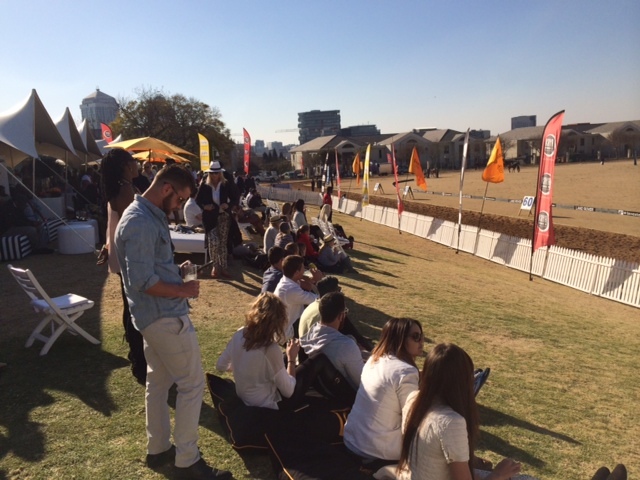 A sophisticated equestrian event like this draws out the CEOs, CFOs and other top management types, including creative gurus like Nathan Reddy (Founder of Grid Worldwide Branding and Design) who looked very casual with a colourful scarf around his neck to keep the winter chills at bay. 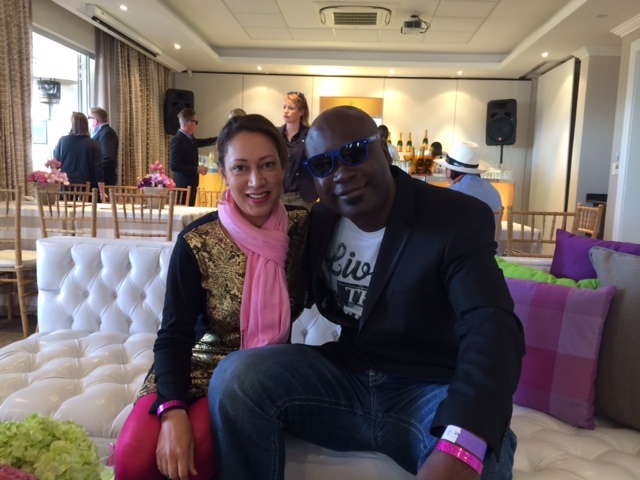 Other celebs I spoke to included DJ Dino Bravo, whose DJ Academy is taking off, so much so, that a recent alumni, 5FM’s Nicole da Silva was singing its praises. Dino’s latest single featuring Lucky Mereki, called “Bo Majaivane” is making its way up the charts and is available on iTunes and is currently enjoying airplay on Trace and various radio stations. The live performance video can be viewed here. Nicole da Silva tells me that she is a brand ambassador for Happy Me Bubble Tea – just read my blog post about this fab franchise here, to see why I was green with envy! LOL! 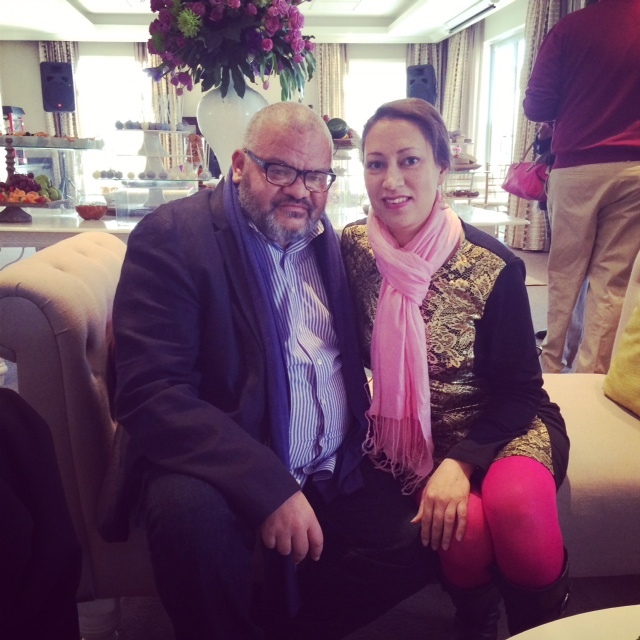 Also seen at the event was Designer extraordinaire David Tlale, TV Presenter and Business Woman Gerry Elsdon, as well as celebrity caterer Vicky Crease and her architect/interior designer/restauranteur sister, Maira Koutsoudakis, who is the Founder and Director of Life Interiors, Architecture and Creative Direction. 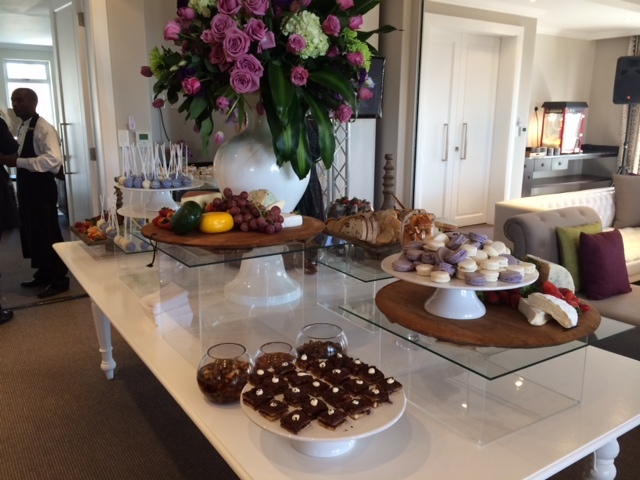 All in all, this was a really fabulous and sophisticated event, and a lovely way to spend a Sunday. One could also buy tickets to this event, which I highly recommend for next year, because you have to see a live polo match, even if it’s just once – bring your own picnic basket or buy one on the day, and with food catered by By Word of Mouth, you know it will be delicious. 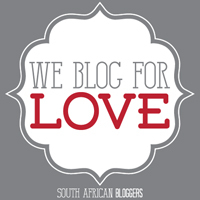 The goodie bags were a real treat as well – the male goodie bag included a full size Tom Ford perfume and Land Rover cuff links, while the ladies bag contained a 100% Pashmina and Estee Lauder and Body Shop cosmetics. This entry was posted in Beauty & Style, Celebrities, Entertainment, Hot Happenings, Leisure & Relaxation, Out & About and tagged Africa Cup 2014, Bo Majaivane, David Tlale, Dermalogica, DJ Dino Bravo, Estee Lauder, fascinators, Gerry Elsdon, Ghana Polistas, Inanda Club, Jaguar, Jen Su, Land Rover, Land Rover Africa Cup 2014 Polo Tournament, Lucky Mereki, Melody Molale, Mishkah Roman-Cassiem, Nicole da Silva, Penny Leyane, Peter Biven, Polo, Shaldon Kopman, Siraaj Cassiem, South African Polo, Zompie Totetsi. Bookmark the permalink.